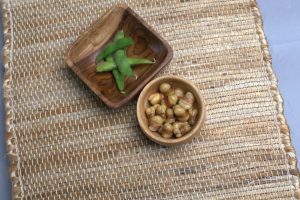 Fava beans are generally eaten while still young and tender, enabling harvesting to begin as early as the middle of spring for plants started under glass or overwintered in a protected location, but even the main crop sown in early spring will be ready from mid to late summer. The beans can be fried, causing the skin to split open, and then salted and/or spiced to produce a savory, crunchy snack. These are popular in China, Malaysia, Colombia, Peru (habas saladas), Guatemala (habas), Mexico (habas con chile), Gilan (North of Iran) and Thailand (where their name means “open-mouth nut”). Arabic (فول‎‎ fūl) Fava Beans are a common staple food in the Egyptian diet, eaten by rich and poor alike. Egyptians eat fava beans in various ways: they may be shelled and then dried, bought dried and then cooked by adding water in very low heat for several hours, etc. They are the primary ingredient in falafel. Broad beans, or “Baghalee” (Persian: باقالی) are primarily cultivated in the central and north parts of Iran. 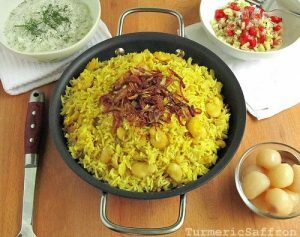 Dried beans can be cooked with rice, which forms one of the most famous dishes in north of Iran (Gilan) called dami baghalee which means “tumeric rice with broad beans”. In Iran broad beans are cooked, served with Golpar-origan and salt and sold on streets in the winter. Habas in spanish (fava beans) are eaten fresh or dried as stew, toasted, boiled, roasted, stewed, soup etc. Habas are one of the essential ingredients of the famous “Pachamanca” in the Andes of Peru. 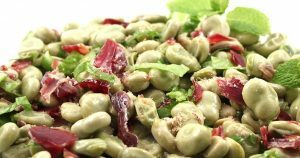 Broad beans (Spanish: habas) are widely cultivated in Spain. 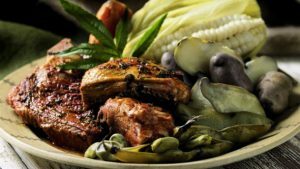 Culinary uses vary among regions, but they can be used as the main pulse in a stew (Favetes, habas estofadas, michirones) or as an addition to other dishes (menestra, paella). In certain regions they can be eaten while unripe or fried and packaged as a snack. 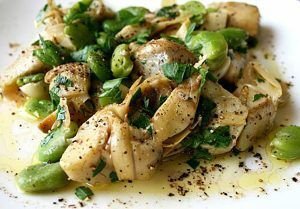 In Rome, Italy, Fava beans are popular either cooked with guanciale or with globe artichokes, as side dish together with lamb or kid, or raw with Pecorino romano. Fave e Pecorino is the traditional dish for 1 May picnic. Maccu is a Sicilian soup prepared with fava beans as a primary ingredient. 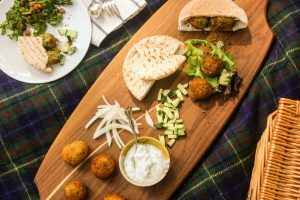 Fava Bean Falafel and the Launch of Whisk!